A Leicester team member has made vital "collaborative links" after attending a recent Global Academic Network (GAN) meeting for members of the Cities Changing Diabetes (CCD) programme. 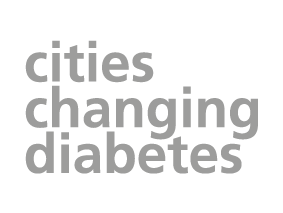 University of Leicester Lecturer and Leicester Changing Diabetes Academic Lead Deirdre Harrington joined 19 other academic partners from 10 of the current and future CCD cities. Together they shared plans and highlighted the unique challenges of working in their city. This was the first time that a Leicester representative was in attendance and so Deirdre was asked to present about why the city had been asked to join the global programme. Deirdre said: "I was honoured to be asked to present about Leicester and all that it has to offer. I gave delegates a flavour of the stakeholder driven initiatives and projects which we've already started in the city. "I also reminded everyone that we are only just over an hour away from London on the train and we're very keen to have other CCD cities visit us at the Leicester Diabetes Centre." 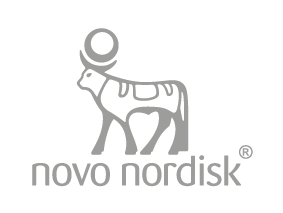 Houston discussed its faith-based diabetes education it has invested in, Vancouver presented environmental audit data and delegates also heard how community action research has been used to develop and promote food markets in Copenhagen. Deirdre said: "Meeting with researchers from other CCD cities has given me new ideas – we can learn from these cities but actually they can learn from Leicester too. It has also made me realise that we all are coming at the problem of urban diabetes from very different backgrounds and with very different personal and professional goals. "I think this is a great opportunity though to learn from our differences but also identify the similarities. I already have at least two CCD researchers who will be ideal sounding boards from some of my academic ideas." 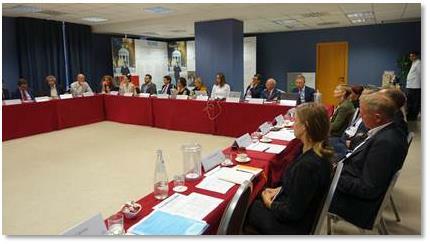 On the second day of the meeting, the academic partners worked towards identifying clear goals that both current and future CCD partner cities can benefit from. They discussed key academic outputs that could benefit all CCD cities: publication, skills and knowledge sharing and policy impact. They also planned how GAN members could become knowledge ambassadors that translate and disseminate their research into actions for cities around the world. Deirdre sends out a thank you to Professor David Napier and Anna Volkmann for the work with GAN and to Ida Löchte from Global for getting everyone to and from Rome so efficiently.